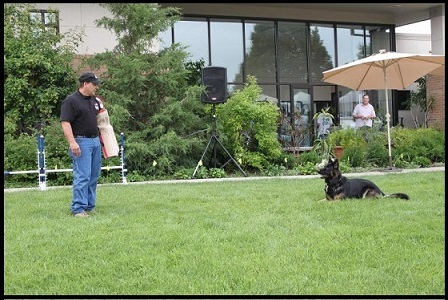 Minnesota K-9 Solutions specialized “Train the Trainer” workshop provides a safety supervisor or other designated staff member with intensive two days of learning. Empowering them with the practical tools needed to bring back to your facility or agency, so that they can effectively implement a comprehensive program designed to train your staff in essential dog bite prevention safety knowledge. In-House Safety Leaders know the importance of being able to communicate on-the-job-safety to employees, but are often left without adequate tools. Minnesota K-9 Solutions has a curriculum that will not only give the trainer the knowledge to give to employees, but also offers a full line of teaching materials to take back to their home office. With our Train-the-Trainer Program, we provide hands-on training to your designated staff member(s), which will not only effectively empower him or her to transfer the skill-set to your employees, but will also promote a significant reduction of high risk associated incidents as they relate to encounters with dogs in urban and rural settings. Our Train the Trainer Program is a sound investment when you consider the benefits of having someone on site that can effectively address occupational safety related to employee encounters with aggressive dogs. When any questions come up regarding Occupational Dog Bite Safety, your employees can formulate a plan to deal with specific problem dogs. One time training is not enough, so this training for trainers lasts two years. After that time, your trainer will need to attend a re-training class to stay current on the newest techniques and products in dog bite safety. Contact Program Director for information on scheduling your staff member for the Train the Trainer Two Day Program.